On the 26th and 27th February 2015, The Academic and Special Libraries Section of the LAI held their Annual Conference in the Gibson Hotel, Dublin. The title of this year’s conference was The Inside Out Library: Collaboration, Inspiration, Transformation. With a varied panel of speakers and sponsors, the conference certainly lived up to its name. There were approximately 140 delegates in attendance and so there were plenty of colleagues to network with and some good opportunities to do so at coffee breaks and the drinks reception on Thursday. The conference sponsors were IEEE, ProQuest, LM Information Delivery, Taylor and Francis, Dublin Business School, IET and EBSCO. The first Keynote Speaker was Malachy Browne of Reported.ly. He provided fascinating insights into chasing stories and checking facts; sharing and explaining tools that are useful for searching and substantiating online information. The parallels with both information literacy and verifying catalogue records were recognised by the assorted librarians in the room. In order to report on global stories as they occur, Browne spoke about the need to collaborate with his various sources on the ground, and Reported.ly colleagues across continents. The need for libraries to publicise the unique in order to get noticed beyond the institution was noted by Helen Fallon in her Case Study on publicising The Ken Saro-Wiwa Archive, and reiterated by Helen Shenton in her Keynote on Friday morning. Both Fallon and Shenton spoke about the need to collaborate with those outside the LIS field in order to draw on their skills and be heighten success. 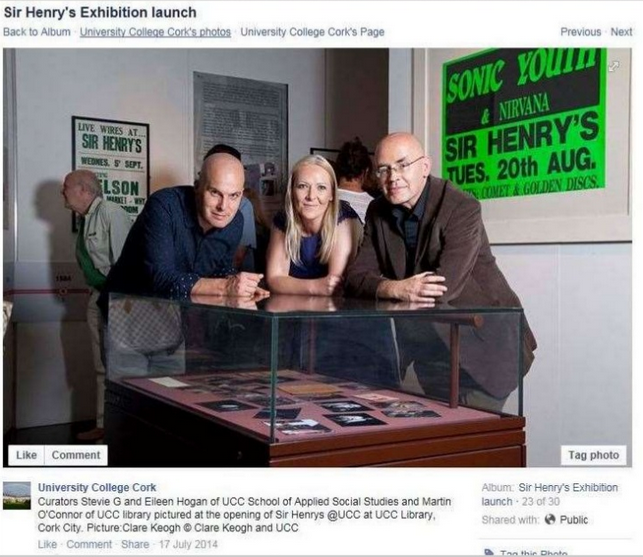 This reaching out beyond the institution was a real triumph of the Sir Henry’s exhibition in UCC Library, the subject of Martin O Connor’s Case Study on Thursday evening. Born out of a Twitter exchange between The Irish Examiner, Martin O Connor, and Stevie Grainger it turned not just the library, but also UCC, inside out, as former patrons visited the exhibition to indulge in nostalgia for the legendary nightclub. The transformative effect that Social Media is having on library and archives was frequently commented on in the various sessions. Tom Maher and Mick O’Dwyer spoke about the role that social media has had in promoting The Forgotten Zine Archive. 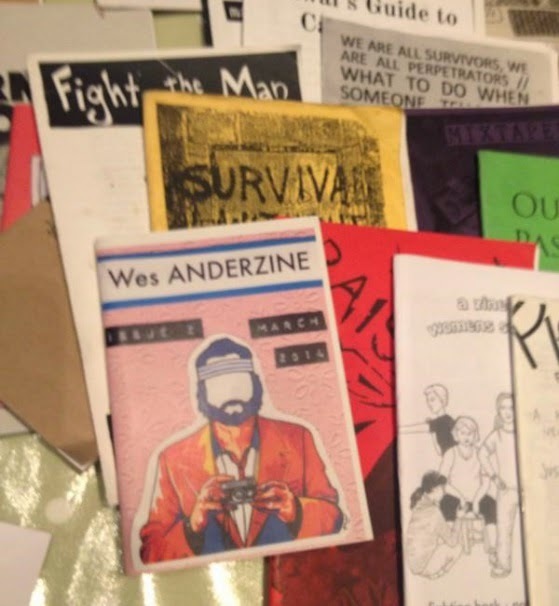 It has also allowed them to reach out to other zine archives, sharing advice and support as they work outside the mainstream. As with the Sir Henry’s exhibition, online collaboration has assisted in sourcing items for their collection. Whilst the digitisation of zines may be contentious due to the sometimes private nature of their content, or lack of copyright information, digitisation of unique and distinct collections is increasingly important for all manner of institutions. As Shenton discussed, the more you make accessible - the more the collections get used. Creating collections that are multi-platform was noted by Malachy Browne to be an important way to preserve and share our stories. A number of speakers mentioned the need for skills development in libraries in order to be successful in reaching wider audiences. Libraries can develop these skills through collaboration, as noted by many of the speakers, but as Shenton also noted, collaboration needs diplomacy and negotiation skills. Aoife Lawton spoke in her Case Study about measuring the impact of collaboration in order to justify the time and effort involved. She pointed out that people can often feel threatened in the face of collaboration, and that there is a need to be clear on expectations. Lawton identified a number of areas where more collaboration could be taking place between Irish libraries, saving time and other resources. One example of collaboration in Ireland that has shown to have a very positive impact for its members is the IReL initiative. 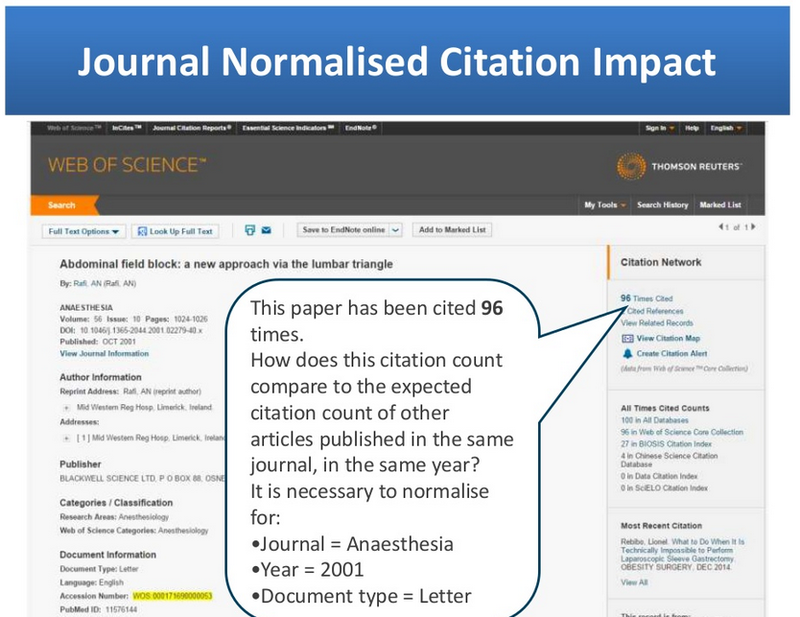 How exactly the impact has been measured was explained by Arlene Healy and Fintan Bracken in their presentation on eJournal Analytics and Bibliometrics. The IReL universities working together have resulted in better funding opportunities and improved research outputs. Thursday afternoon’s Pecha Kuchas from Laoise Doherty, Mary Delaney and Jenny Collery, all dealt with the benefits to be gained from collaborating with new partners in order to improve the library’s offerings from archiving and curating to expanding the learning environment. As Monica Crump pointed out in her case study, how the library supports the learning environment has changed significantly over the last 20 years, with an increasing number of new roles for librarians. Crump outlined how it is important for us to step outside the comfort zone and show the value of these new roles and skills to colleagues beyond the library by getting involved in external projects. It is not just the librarians’ role that is changing, but also the students’. Today, team work is as important as autonomous individual working, and Jane Burns’ workshop examined how collaboration could be fostered through games. Elaine Bean delivered a case study on the fantastic partnership between Maynooth University Library and second level schools improving everyday information literacy and easing students’ transition to third level education. The conference closed on Friday afternoon with an exciting look at Maynooth University’s pilot of offering a 3D printing service to students and academics. 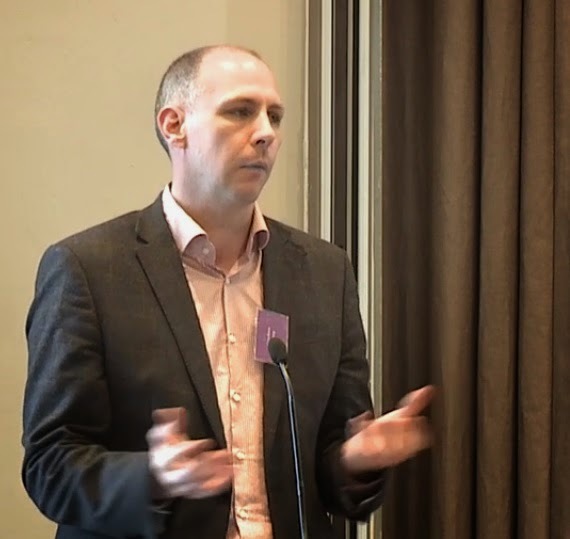 Hugh Murphy provided an overview of how 3D printing fits into the library as the next step in a well-established course of offering innovative services to users. Michael Leigh then offered an explanation of the technical aspects of the process and what users can expect from the service. Although not all library projects and collaborations can be as high profile as 3D printing, the innovation that it represents and the need to attract the attention of external partners in order to offer the best service we can, was a common thread throughout the sessions I attended. More information on the breakout sessions and workshops I could not attend can be found here and here. The Poster Presentations were very informative, covering a wide range of topics in a clear and visually appealing way. These snapshots echoed the themes of collaboration and creativity that extended to all the conference sessions. Kudos to the A&SL Committee for putting together this fantastic programme, resulting in a conference that continues to go from strength to strength, reflecting current professional practice in librarianship.